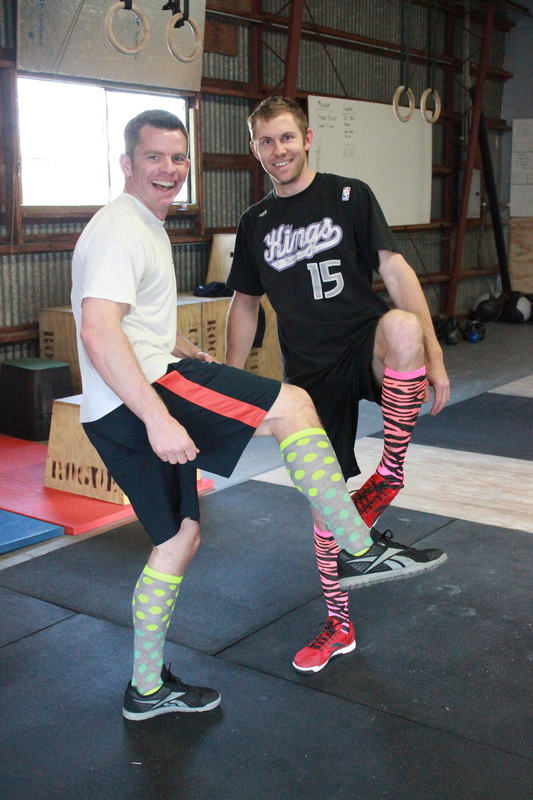 Two of the foothills finest rocking their girly socks! Way to go Kyle and Dave! Can CrossFit improve aerobic fitness and body composition? Great job Dan! You’re doing us proud. That sounds like a fun one! Looking forward to having you home – see you Sat.! did heather tell you that I missed your WOD links? thank you for sharing your success with us! you’re going to give me a run for my money when you get home. if I can stop coughing and catch my breath I’ll come in at 5:30. this looks like a good workout, and I need to practice my push press. Sorry I’ve been MIA that past few days. I should be there this evening. Good job Dan and future ACF coaches! I am proud to say that I finally have kipping down…WOO…HOO!!! Still could use some work but I found a rhythm, a takeaway from this weekend after I did Fran with strict pullups the entire WOD. Way to go tonight Teresa M, nicely done! Great 6:30 group tonight. Nice getting to know everyone. Thanks Coach Keith for getting my knee working.